At Andrews Air Conditioning, we have carved out a reputation for delivering bespoke cooling solutions to a wide range of broadcasting, TV and special effects applications. And it was this expertise that prompted the organisers of the world’s oldest continually running film festival to contact us when they sought to create an unusual setting. 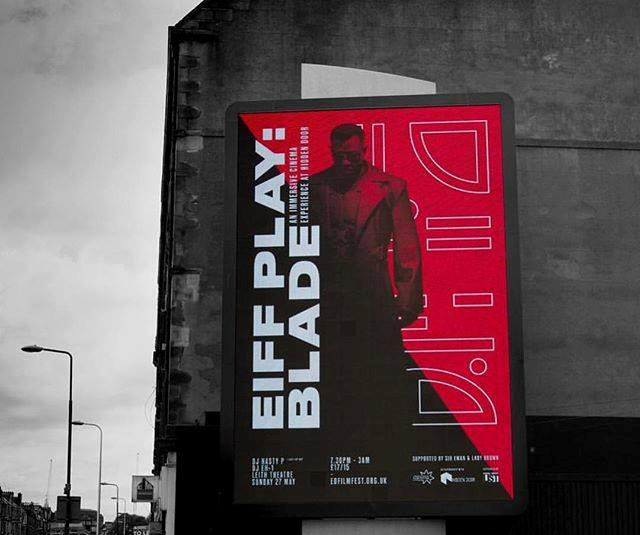 As part of the Edinburgh International Film Festival, there was a special celebration to commemorate the 20th anniversary of the American superhero horror film Blade – starring Wesley Snipes. The client responsible for running the event wanted to recreate an entrance which involved passing through a cold meat locker room, and this was to be set-up at the theatre’s entrance. To recreate this scene, some low temperature cooling equipment was supplied to replicate the cold effects that you would expect to find in a real meat storage facility. A local Andrews technician from our Grangemouth depot visited the site in Leith and was able to propose a solution based on the project’s unique requirements. It was decided that deploying several of our ET21 portable air conditioning units would be the best course of action as the cooling outlets could be extended and moved to ensure cold air reached the desired areas. The assignment ran perfectly and enabled the recreation of the type of scene that has become synonymous with the age-old box office classic film. Actor Wesley Snipes obviously enjoyed commemorating one of the movies that helped make his name and shared a variety of social media posts highlighting his presence in the Scottish capital. The festival was widely acclaimed as an ongoing success and we’re very glad to have played our part in helping Blade’s anniversary celebrations run so smoothly. This article was posted in Andrews Air Conditioning, Andrews Sykes Group Plc, Brief, News and tagged air conditioning hire, Andrews Air Conditioning, Andrews Sykes, Blade, Edinburgh Film Festival, Wesley Snipes. Both comments and trackbacks are closed.